I had wanted to do homemade cards, but time got away from me, so I compromised. 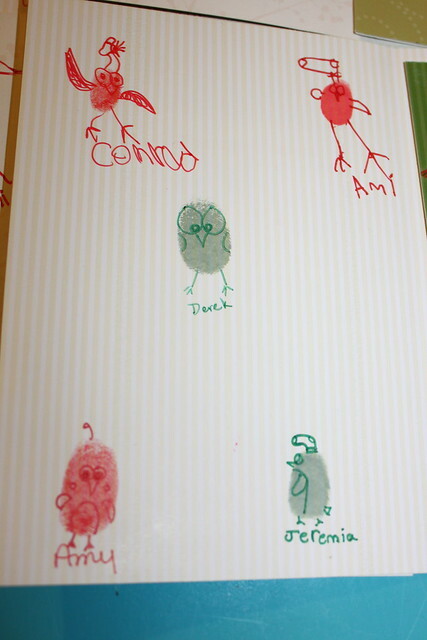 We all sat together, for about 30 minutes, and made our fingerprint birds. 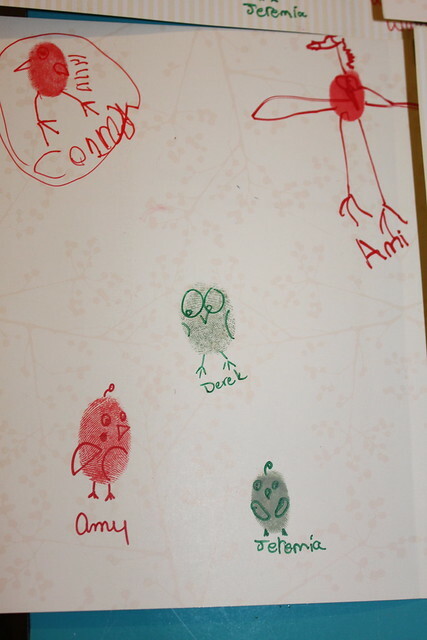 It turned a normally a chore-like task into family fun. We may have a new family tradition. Send me your address, if you want to be on our Christmas card list :). So Cute! You are amazing! 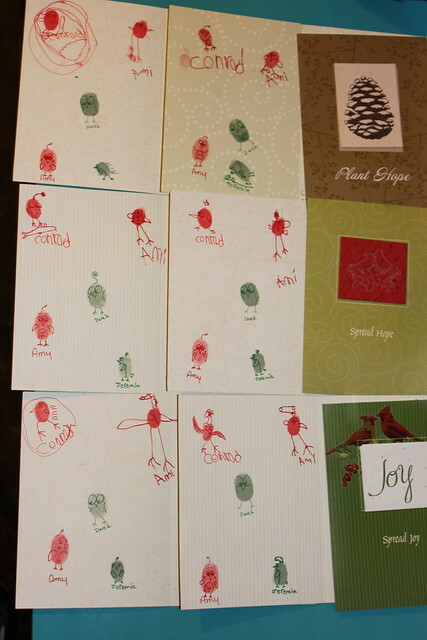 Love the cards! Thanks Terrie! You are too sweet!